The popularly known mobile phone producer Gionee has released the latest in its A series of smartphones by launching the A1 Lite smartphone. This model comes with a selfie camera, and 4000mAh battery. 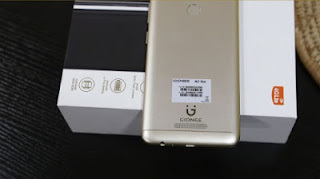 Apart from packing a heavy punch in the specs arena, the Gionee A1 Lite is also very affordable. Introducing the Gionee A1 Lite! 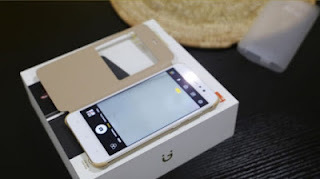 The device comes in a white box, with the image of the phone on the front and the specs behind. 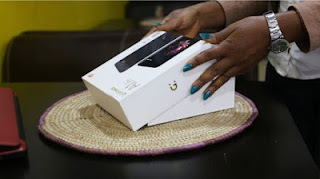 The box is wrapped in a moisture resistant packaging which does not take anything away from the premium look. When you open the carton, you will see the casing packed with loads of accessories, which include a pouch, charger and cord, extra screen guard and wipe, earpiece, warranty card and user guide. Pouch: The A1 Lite comes with a very beautiful and exquisite pouch. It fits perfectly into your palms and pocket. 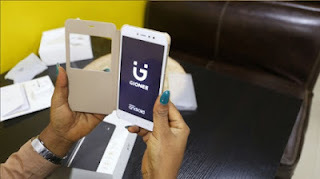 Charger and cord: Keep your Gionee A1 Lite phone always in power with this sleek & stylish cable that ensures very fast charging for optimal performance. Earpiece: Punchy and clear earphones, you'd love to keep them on and keep listening without strain on the ears. 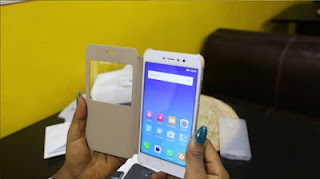 Screen guard & wipe: Extra skin guard and wipe, how cool is that? 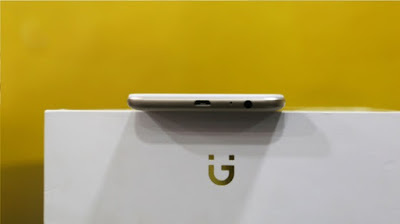 Ejector pin: The Gionee A1 Lite comes with an Ejector pin for the sim and memory card slot. User guide & warranty: A friendly user guide and a warranty! 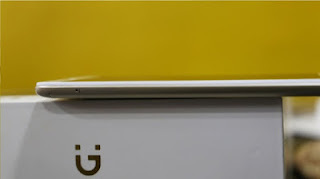 So you get all the information and all the cover you need and your companion to discover more about the phone. The Gionee A1 Lite features a 20 MP front camera along with a customized selfie flash to spread light onto faces more evenly and softly even when it’s dark. The A1 Lite also has a facial enhancement algorithm that automatically detects a user’s face and applies custom beauty settings for pictures and videos. 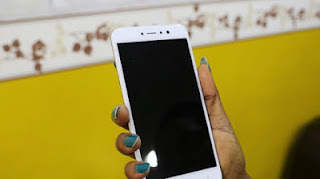 At the back you have a 13 MP rear camera with auto focus capabilities and LED flash. Perfect for capturing great memories in not so great light. 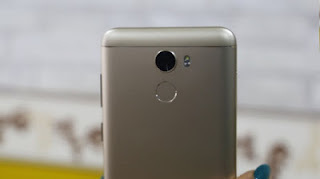 The Gionee A1 Lite also comes with a fingerprint sensor at the back to help keep your phone more secure. 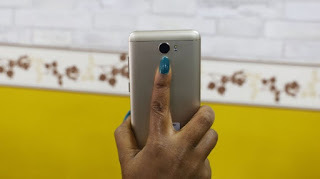 The fingerprint scanner doubles as a camera button and also for locking and unlocking the phone. The Ear piece and charging port uniquely situated at the bottom for easy access. 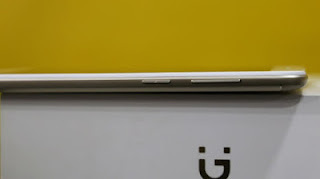 We also noticed that there are no ports situated at the top of the device, all ports are at the bottom of the device. At the right hand side of the phone you have the volume controller and the power button. If you look behind the device, you’ll see that the speaker grills have also been uniquely placed at the back of the device. Now we’ve gone through the amazing features of the Gionee A1 Lite, It’s time to power up! With a beautiful well-arranged home screen that is customisable as you want, we are all set and ready to go! 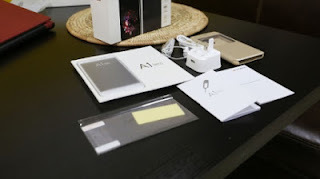 The A1 Lite is a sleek premium device with a trendy design. It also comes with very beautiful and easy to use interface. 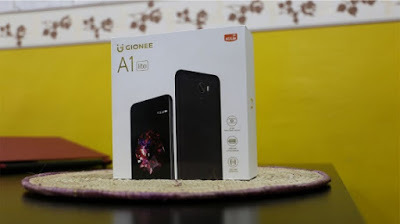 It comes with a 20MP front camera that delivers professional quality images and videos.Ultimately the Gionee A1 Lite is a smartphone for users who like an ‘always on’ lifestyle and it also promises something impressive for the selfie enthusiasts.